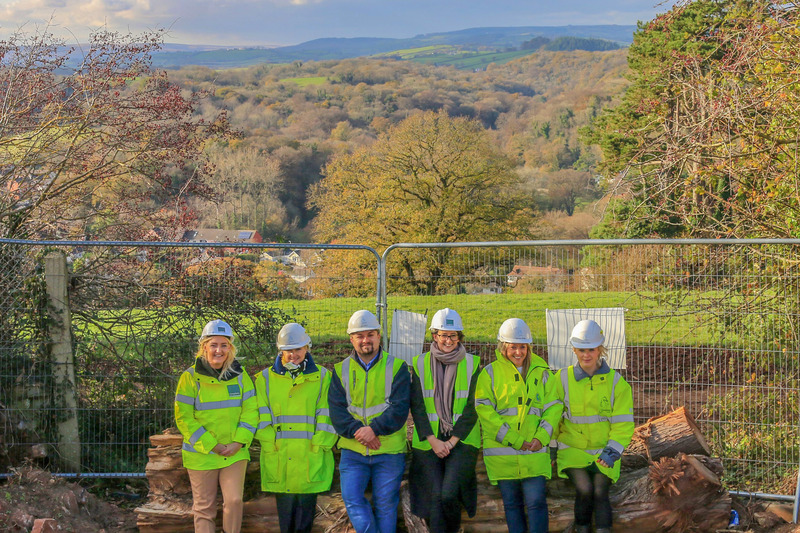 Complete Estate Agents, has announced a partnership with the family-run Cavanna Homes to market an exclusive new property development on the edge of Newton Abbot. Cavanna at Wolborough Hill is a select collection of 26 properties in one of the most prestigious locations in Newton Abbot. The three, four- and five-bedroom homes are all inspired by Edwardian Arts and crafts architectural values and deliver a flawless finish and specification. A home building company that has been established for 95 years, Cavanna is known for using the finest materials, and its properties are all built with an attention to detail and craftmanship that is second to none. This insistence on quality is maintained throughout every stage of the house building process and is reflected in the company’s choice of sales and marketing partner. The new homes are finished in a mix of crisp white render, natural grey slate and dark grey tiles which beautifully complement the exclusive address. The jewel in the crown of the development is Bacchante House, a former Edwardian school that will be impeccably renovated to create four beautiful town houses with three, four and five bedrooms. Each house is split over three floors and enjoys wonderful original features including high ceilings, timeless wooden sash windows and, in two of the homes, original staircases. A number of the homes will include luxury finishes such as smart heating controls by Nest, integrated AEG kitchen appliances including a wine cooler, underfloor heating in some rooms and even a Mira auto-filling bath. For those wanting to really make their mark on their new home there will be a plethora of optional extras available such as adding a hot tub package, integrating a sound system throughout the house or adding some gadgets to the kitchen- like a an instant boiling water tap. Meanwhile, every single property on the development boasts contemporary fitted kitchens and bathrooms, the latest heating systems, exceptional wall and loft insulation and double glazing as standard as well as a 10-year NHBC warranty. The extensive open space area compliments this beautiful parkland development all of the homes carefully placed throughout the community to create spacious, private gardens and maximise views of the open space and tennis court. Cavanna were especially keen to sensitively work around two mature Oak and Ash trees which will stay at the heart of the development. To find out more about Cavanna at Wolborough Hill, contact Complete on 01626 362246.